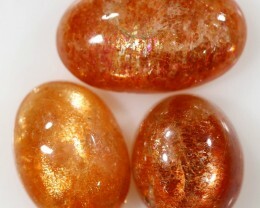 Sunstone is metallic in appearance and comes in red, orange or green. 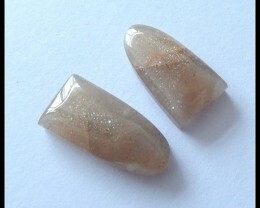 However, cleaner red sunstone is very rare and commands true gemstone prices. 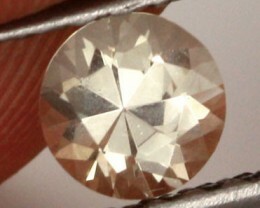 There are two main varieties of Sunstone. The stones from the USA are plagioclase Feldspar that are colored by Copper. 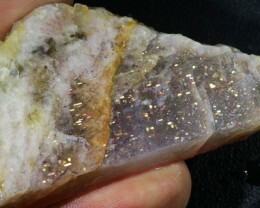 The other is a composition of oligioclase feldspar, which also contains hematite or goethite inclusions. 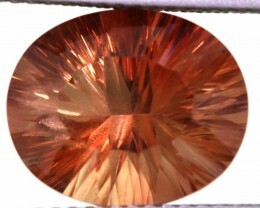 The presence of Copper, Hematite or Goethite creates a reflection of light, hence the name sunstone. 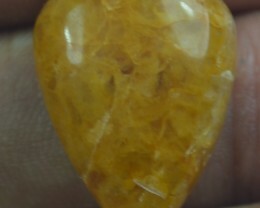 Sunstone is formed in molten lava and is discharged onto the surface with the help of a volcano. 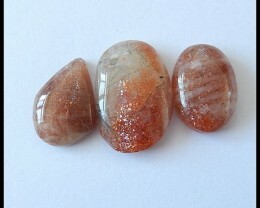 The lava weathers away or is broken and fine crystals of sunstone are then released. 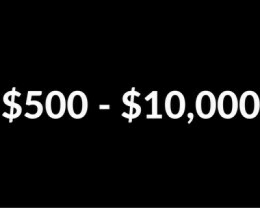 The hardness of the stone is 6.5-7.2 on the Mohs scale and its density 2.62 - 2.65. 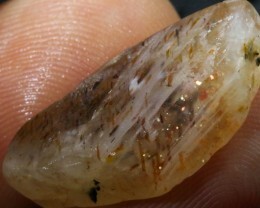 The term “sunstone” is mostly utilized for specimens of transparent to translucent feldspar that create intense, tinny flashes especially when the light intermingles with small plate-like mineral inclusions inside the stone. 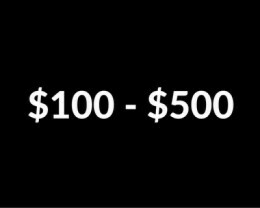 This visual fact is referred as “Aventurescence”. Most of the sunstone’s deposits have been established in Canada, India, Russia, and South Norway. 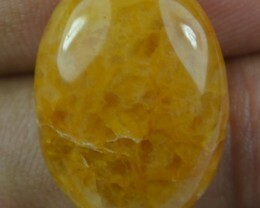 Sunstone has also been discovered in the USA. 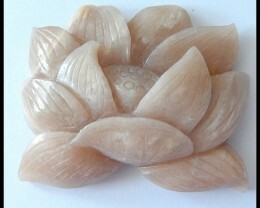 Sunstone occurs in a range of colors that begins with colorless and ranges through yellow, green, orange and red. 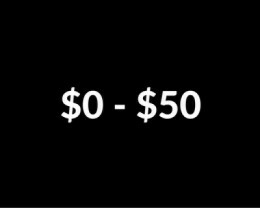 The color is determined, in part, by the abundance and size of the copper platelets within the stone. 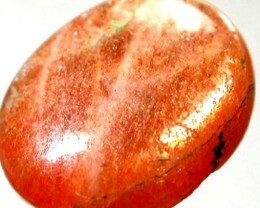 The copper platelets impart a green, pink or reddish color to the stone. 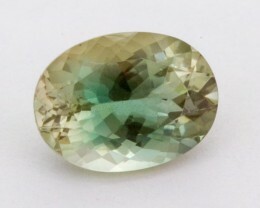 Some exceptional stones are deep green or blue in color. 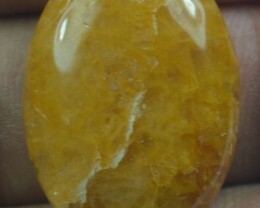 Color can vary within a single stone. Some stones exhibit a color gradient. They might be pink on one side of the stone and the color gradually strengthens to orange on the other side of the stone. 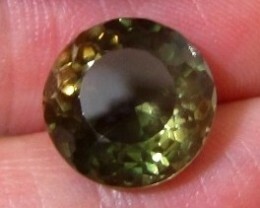 Other stones have sharp color changes. 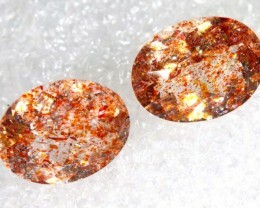 These stones might have patches of green in contact with an area of strong red color. 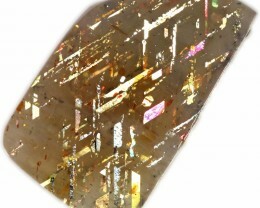 Some exceptional stones are pleochroic - their color depends upon the direction of observation. 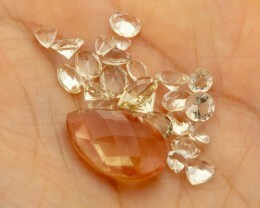 The value of this gem-quality sunstone is determined by its color, transparency, and the quality of Aventurescence. 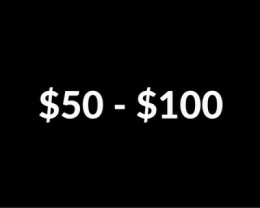 Colorless and yellow stones are usually the least expensive and values increase through pink, orange and red. 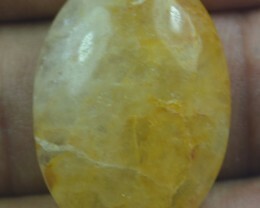 What Causes The Color In Oregon Sunstone?